One of the biggest challenges that many families of patients with anorexia face is the inability to seem to get through to the child or loved one that their weight is causing them serious health issues. For many anorexics, particularly teen and young adult women, everywhere they look they see reinforcement about how being thin is what it takes to be liked, successful and popular. However, a young man or women, or even an older adult that is struggling with anorexia, is not just engaging in the behaviour to gain popularity or for some external motive, they honestly cannot see themselves for who they truly are. Some patients may actually refuse to take any food, attempting to exist on water alone in a dramatic attempt to lose a few more pounds. Many of these patients will require hospitalisation, feeding tubes and constant care and monitoring to prevent relapses if only the symptoms, the actual lack of eating, is the only aspect of this mental health condition that is addressed. Anorexia treatment at our Bermondsey Office is available for both the patient and the family. Often family members have, perhaps without realising, reinforced the negative images of self that the patient holds. In some cases the family may feel helpless and may focus on weight and food, which only increases the pressure and stress for the patient. We are here to provide education, support and counselling as needed. 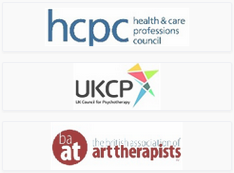 We understand that anorexia treatment takes time, but the research clearly shows that psychotherapy, combined with education, nutritional counselling and medical support, is the most effective long term treatment plan for those with anorexia.